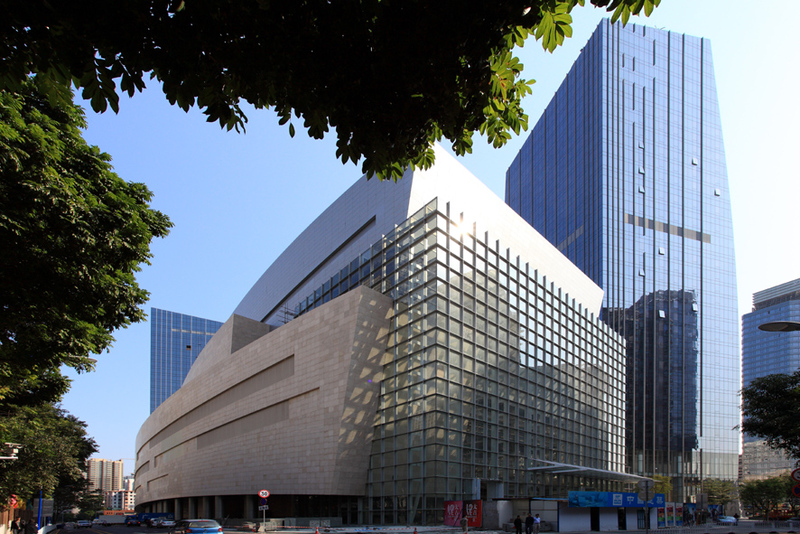 Located in the prime Tianhe District in Guangzhou, China, Tai Koo Hui is a landmark mixed-use development, a state-of-the-art integrated project with a gross floor area of approximately 450,000 square metres. 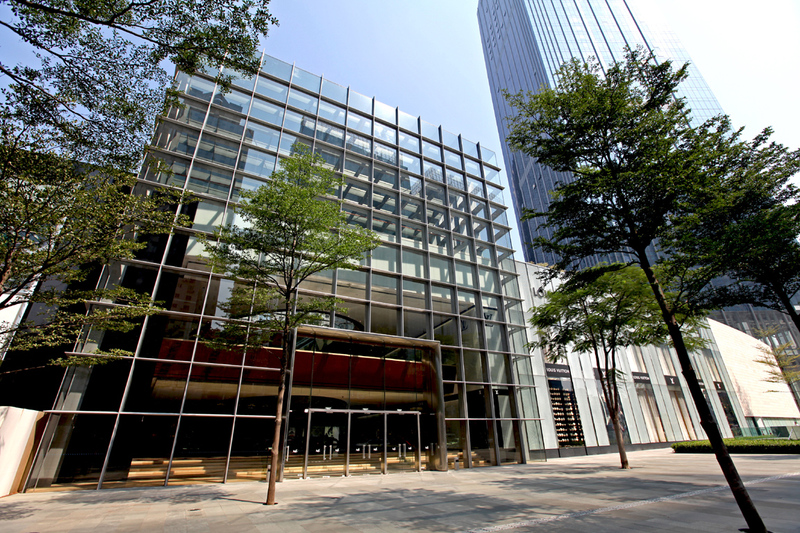 Taikoo Hui includes a four-storey retail centre of 138,000 square metres, a 39-storey Grade ‘A’ office tower of 100,000 square metres, a 28-storey Grade ‘A’ office tower of 60,000 square metres, a 5-star, 28-storey, 266-key Mandarin Oriental Hotel with 24 serviced apartments, a cultural centre and associated ancillary facilities including car parking for 780 cars. The project is to be connected by subterranean pedestrian tunnels to the Metro 3 underground train station located on Tianhe Road. The site is organized around the fundamental principle of maximizing open space experiences for the users of the complex and the community at large. This ideology is pursued three dimensionally, with open spaces occurring at various elevations emulating the natural topography of the district. Ample promenades surround the development on grade, widening at strategic points to create green pockets, plazas, gathering spaces and outdoor dining opportunities. The curvilinear form of the podium introduces the metaphor of the geology of forms that create a landscape more than a building. The ground plane experience is connected by monumental stairs leading to a park. The park sits in a plateau that opens to vistas of the city around it. It is a unique experience in the urban environment of Guangzhou, a city that does not benefit from natural elevation changes. The elevated park removes the car from the outdoor experience and introduces a peaceful component to the visitor experience. The podium setting for the development provides a new man-made geography from which the proposed buildings rise and under which functions thrive. The podium may be considered as a hill town with an active life within and below its surface. The site is organized with the three towers and the cultural centre located at each corner of the site. The retail sits at the centre forming the kernel of the development tying all the components together naturally. The three towers are placed at angles orienting themselves to allow clear views, maximizing open space and natural light into the heart of the site. 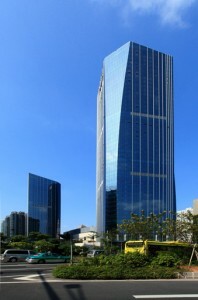 The office towers have shared drop offs with the retail podium, whilst the hotel and cultural centre have dedicated drop offs. The retail podium is accessed via four entrances at the east, south and west via customized glazed entrances and to the north by a shared covered drop off. The covered drop off provides convenient access to the hotel ballroom and lobby, the cultural centre and the basement car parking. The retail podium comprises five levels; two below grade, two above grade and a podium F&B garden at the park on the roof. 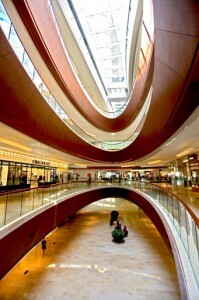 The two levels below grade comprise a supermarket, department store, F&B outlets and other tenants. Both floors are served by the Metro 3 station tunnels on alternate levels, providing convenient access for all users. 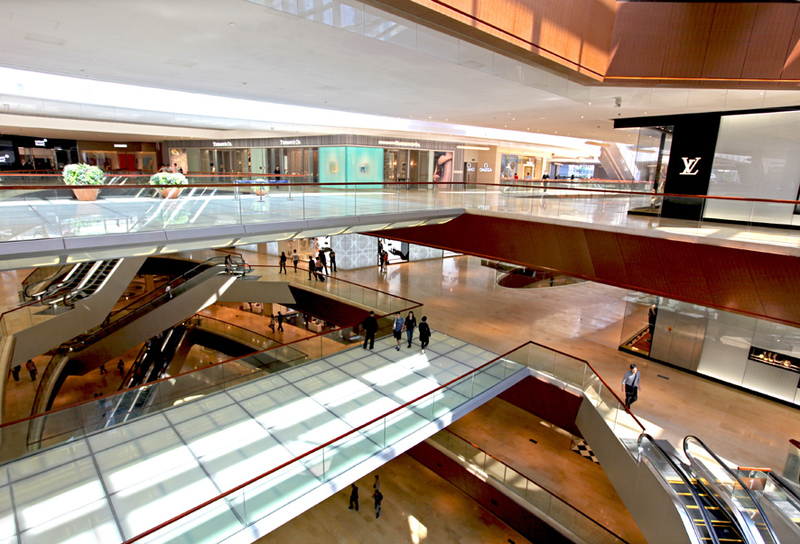 The office towers can be accessed directly from the retail by escalators for the convenience of the office users. The two retail levels above grade consist of high-end retail tenants, a hotel access and connectivity to the F&B podium garden at level 3. Tall lobbies provide a generous sense of arrival and access to all office floors. The retail can be accessed from the lobbies at ground level and via escalators to basement retail allowing convenient access for users from the metro. At the podium garden level 3, the offices have a double height floor to allow flexibility for use of anchor tenants. This level provides direct connectivity to the podium garden. Tower 1 comprises 34 office floors split into three zones with an average floor plate of 2,500 square metres. Tower 2 comprises 22 office floors split into two office zones with an average floor plate of 2,200 square metres. All office typical floors have floor to ceiling glass with a clear height of 2.82m.